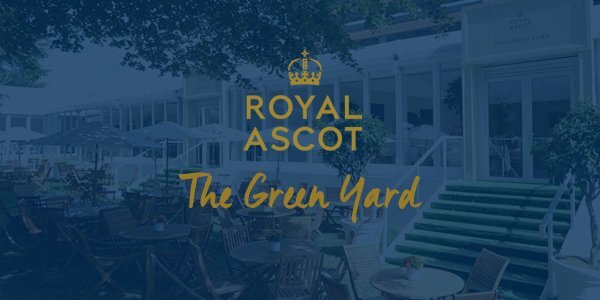 The greatest week of flat racing returns to Ascot Racecourse in 2019 for the ultimate summer celebration, showcasing the finest pomp, pageantry and world class racing of anywhere in the world, so give your guests an exclusive invite to one of the exceptional Royal Ascot hospitality restaurants and get set for an irresistible day of entertainment. A day at Royal Ascot is an occasion to savour, as racegoers descend on Ascot Racecourse during the Royal meeting for a week of fashion, unequaled racing hospitality, phenomenal racing and entertainment. Mingle with famous faces from the world of racing at one of the most anticipated highlights of the Summer social calendar. 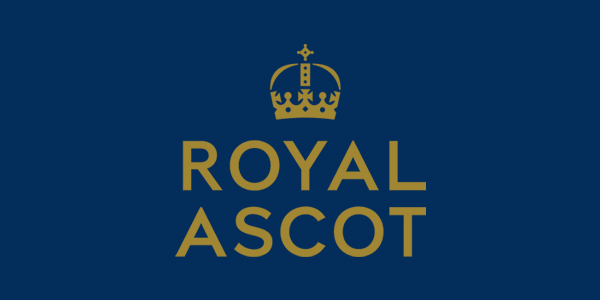 The finest equine talents around the world meet in the exhilarating Group races across five days of racing at Royal Ascot 2019 with prize money of over £6.5 million, it stands alone as Britain’s most valuable race meeting. This famous week of racing draws over 300,000 spectators, most notably The Queen who as a racing lover, gets the celebrations underway each day with the Royal Procession. 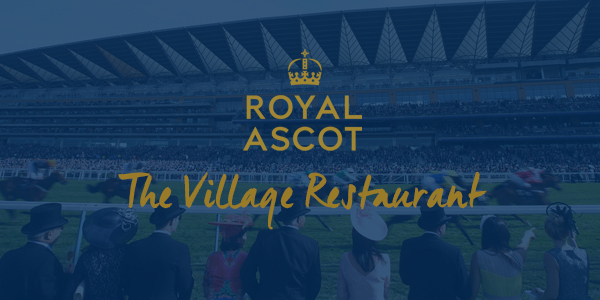 An opportunity to attend the Royal Ascot hospitality restaurants or Private Boxes with your guests is one not to be missed. The wealth of track side hospitality options available within the magnificent £200 million grandstand, along with various hospitality suites, restaurants and marquees around the Parade Ring, Final Furlong and Winning Post at Ascot Racecourse. As the centrepiece of the summer racing, Royal Ascot hospitality packages grant you access to the finest corporate hospitality locations at the racecourse. Each hospitality package offers all-inclusive fine dining from some of the world’s most renowned Michelin chefs, in addition to free-flowing Champagne and Pimm’s plus privileged views of the thrilling racing on track. 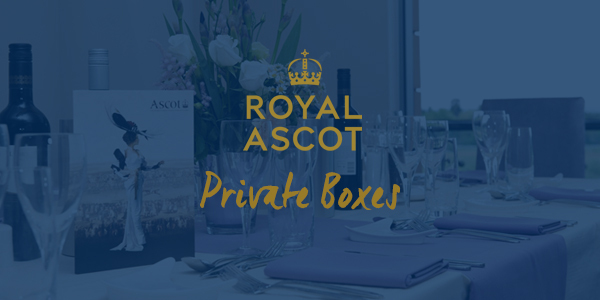 Explore an overview of all official Royal Ascot hospitality packages and private boxes available at the Royal Ascot 2019 meeting and enquire today to find out more information about your visit. Uniquely located inside the track directly opposite the spectacular main grandstand on the final furlong, privileged guests will enjoy up close views of the action and superb racing hospitality. 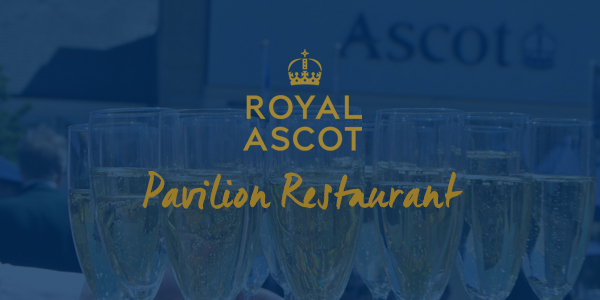 Situated close to the iconic Ascot Bandstand and the Plaza Lawns to the rear of the main grandstand, the Pavilion Restaurant puts you at the heart of the wonderful atmosphere of Ascot Racecourse. 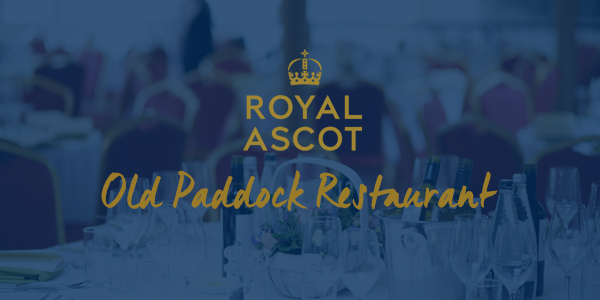 Located in prime position overlooking the Pre-Parade Ring and the saddling boxes, the Old Paddock Restaurant. guest will enjoy fabulous hospitality and wonderful views of the racing. 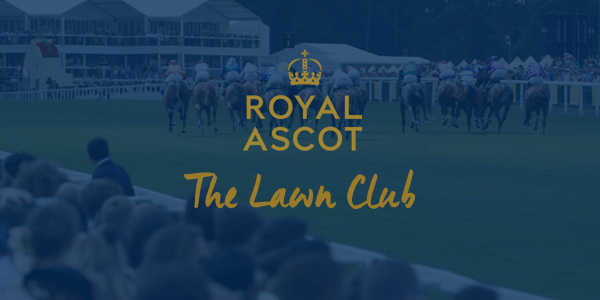 This wonderful track side marquee boasts excellent views of the closing stages of each race from the private elevated balcony terrace, offering a relaxed backdrop to enjoy your day at Royal Ascot 2019. 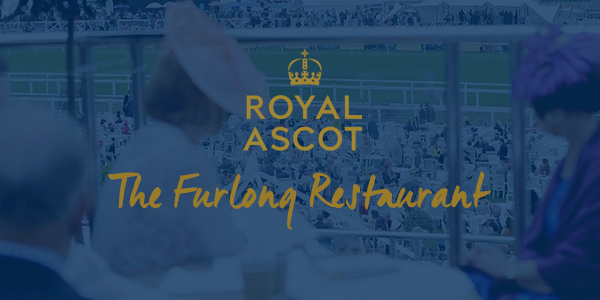 The beautifully decorated Furlong Restaurant at Royal Ascot 2019 offers VIP guests a fantastic corporate hospitality experience with sumptuous cuisine and terrace balcony views of the racing. Located directly above the Sandringham Restaurant in the same Ascot Racecourse hospitality complex, Carriages boasts elevated terrace views of the racing from this cool, contemporary VIP suite. 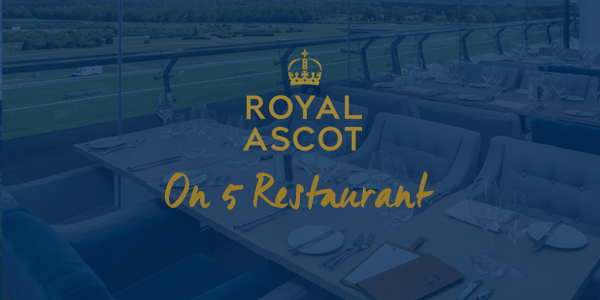 Found on the 5th floor of the Main Grandstand at Ascot Racecourse, the On 5 Restaurant offers fabulous cuisine during Royal Ascot week and sweeping views from its private terrace area. 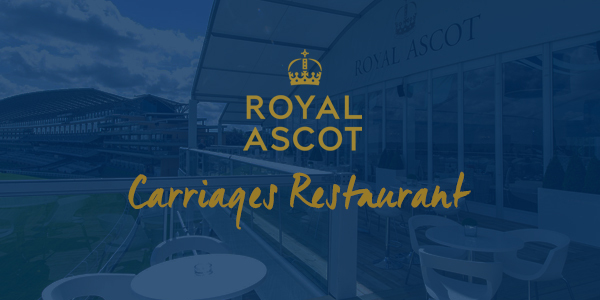 This wonderful Royal Enclosure hospitality suite at Ascot Racecourse gives racegoers a wonderful base for a great day of racing with a relaxing garden area, complete with fine dining and Champagne. 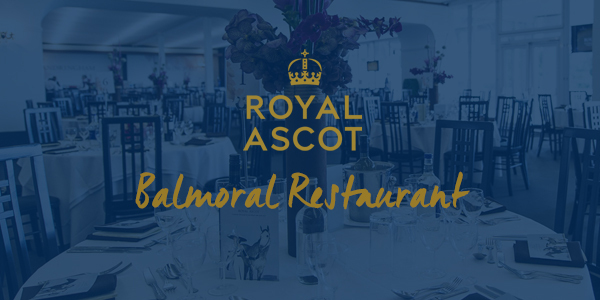 Named in honour of Her Majesty’s Estate in Scotland, The Balmoral Restaurant at Royal Ascot evokes the theme of a traditional Scottish summer party, creating an unforgettable VIP experience. 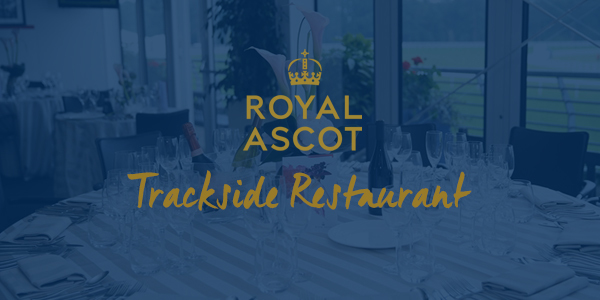 Situated right at the heart of the action at Royal Ascot 2019, the Trackside Restaurant is one of the most envious places to enjoy the entertainment with its stylish decor and excellent fine dining menu. 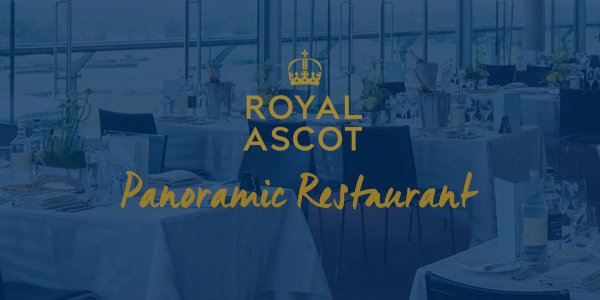 Located atop the Main Grandstand in the Royal Enclosure, the panoramic views of the racecourse and exquisite fine dining by Raymond Blanc within make this the most exclusive restaurant at Ascot. 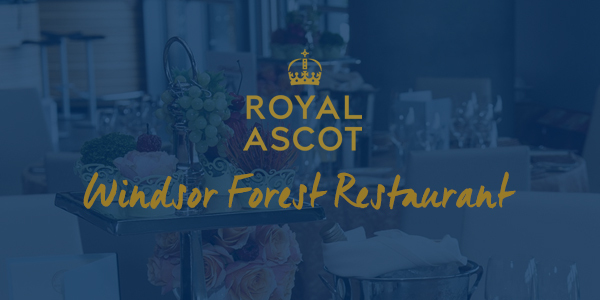 One of the most exclusive Royal Ascot hospitality packages, the Windsor Forest Restaurant within the Royal Enclosure grants 45 privileged guests an unrivaled VIP experience at Ascot Racecourse. 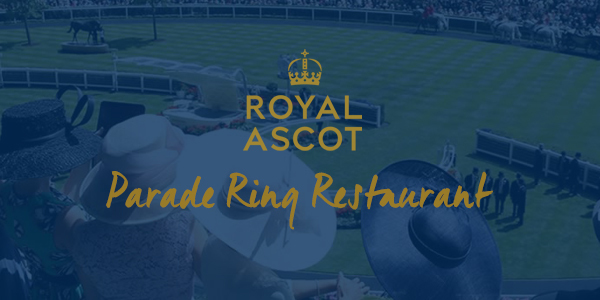 Sample the finest Champagnes, wines and exquisite cuisine within Royal Ascot’s Parade Ring Restaurant and savour a memorable day of racing with exclusive private trackside viewing at Ascot Racecourse. Discover a unique opportunity to impress your guests from within the comfort of a Royal Ascot Private Box, each boasting exceptional hospitality and elevated balcony views of each exciting race.